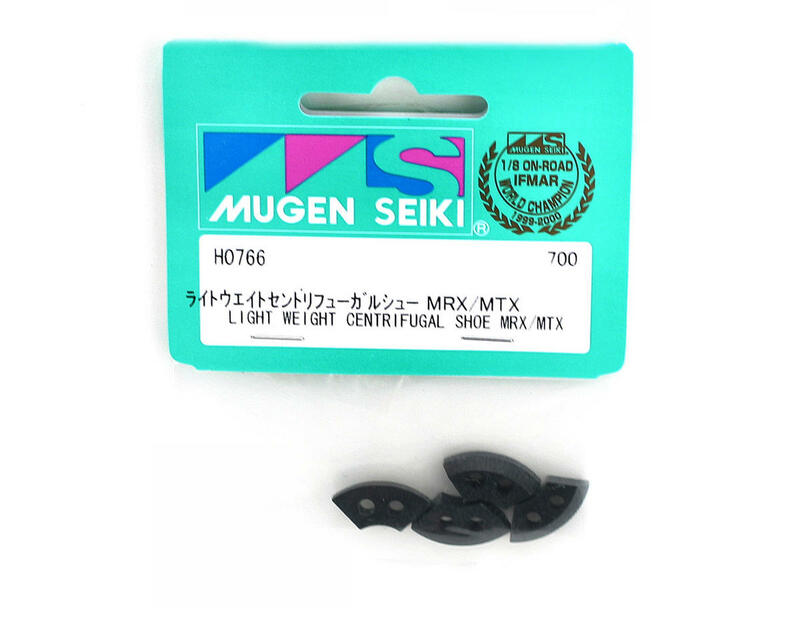 This is a set of optional light weight centrifugal shoes for the clutch system used on the Mugen MTX and MRX on road cars. These shoes sit in the flywheel recesses in the clutch assemby, and move the clutch shoes forward to engage the flywheel as the speed of the engine increases. 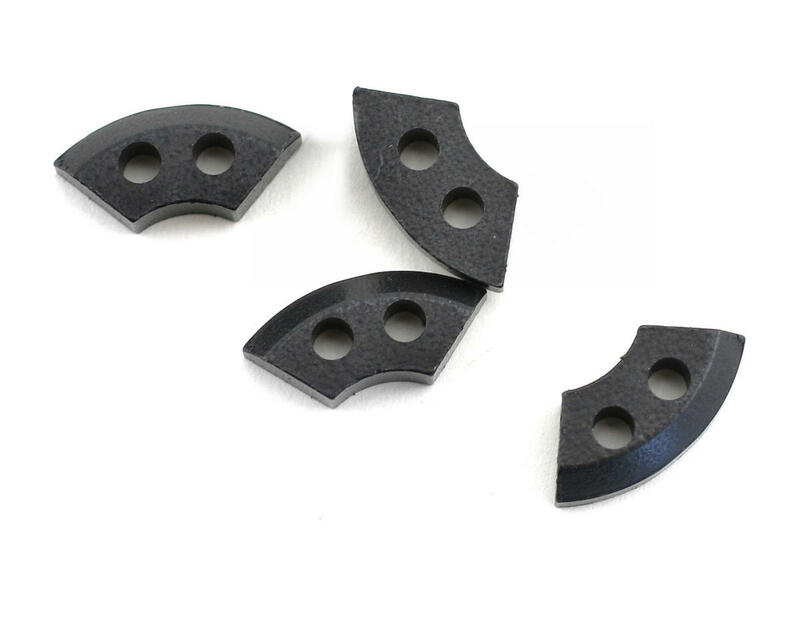 These lighter clutch shoes will cause the clutch to engage at a higher engine RPM than the stock shoes, providing more snap out of the corners. If the traction is very lower, you would not want to use these shoes.